Make no mistake, the Confederacy had the will and valor to fight. But the Union had the manpower, the money, the materiel, and, most important, the generals. Although the South had arguably the best commander in the Civil War in Robert E. Lee, the North's full house beat their one-of-a-kind. Flawed individually, the Union's top officers nevertheless proved collectively superior across a diverse array of battlefields and ultimately produced a victory for the Union. Now acclaimed author Albert Castel brings his inimitable style, insight, and wit to a new reconsideration of these generals. With the assistance of Brooks Simpson, another leading light in this field, Castel has produced a remarkable capstone volume to a distinguished career. 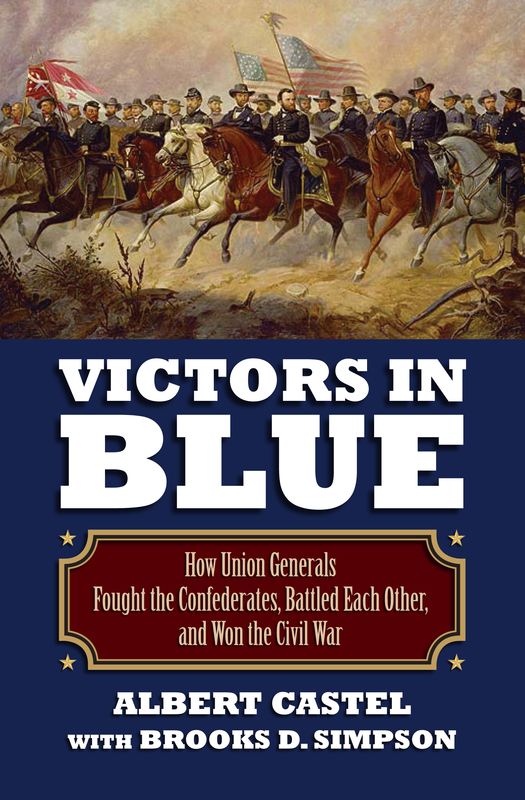 In it, he reassesses how battles and campaigns forged a decisive Northern victory, reevaluates the generalship of the victors, and lays bare the sometimes vicious rivalries among the Union generals and their effect on the war. From Shiloh to the Shenandoah, Chickamauga to Chattanooga, Castel provides fresh accounts of how the Union commanders—especially Grant, Sherman, Sheridan, Thomas, and Meade but also Halleck, Schofield, and Rosecrans—outmaneuvered and outfought their Confederate opponents. He asks of each why he won: Was it through superior skill, strength of arms, enemy blunders, or sheer chance? What were his objectives and how did he realize them? Did he accomplish more or less than could be expected under the circumstances? And if less, what could he have done to achieve more—and why did he not do it? Castel also sheds new light on the war within the war: the intense rivalries in the upper ranks, complicated by the presence in the army of high-ranking non-West Pointers with political wagons attached to the stars on their shoulders. A decade in the writing, Victors in Blue brims with novel, even outrageous interpretations that are sure to stir debate. As certain as the Union achieved victory, it will inform, provoke, and enliven sesquicentennial discussions of the Civil War. Albert Castel was the author of numerous books, including the Lincoln Prize-winning Decision in the West: The Atlanta Campaign of 1864; Tom Taylor's Civil War; and Civil War Kansas: Reaping the Whirlwind. Brooks D. Simpson is professor of history at Arizona State University and the author of Ulysses S. Grant: Triumph over Adversity, 1822-1865; Let Us Have Peace: Ulysses S. Grant and the Politics of War and Reconstruction, 1861-1868; and The Reconstruction Presidents.